After hearing that Zack Efron backed out on the upcoming Musical adaptation of Footloose, E! Online just gave the scoop that Gossip Girl's Chace Crawford auditioned for the character of Ren McCormack once played by Kevin Bacon back in 1984. 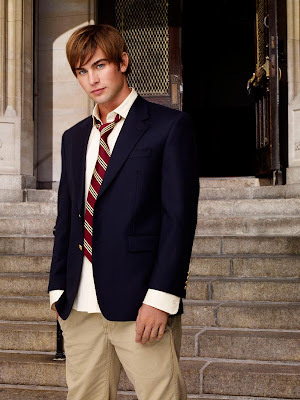 And according to reliable sources, Chace or Nate Archibald of Gossip Girl did well in the audition. For now, there are no confirmation if he already got the part. So girls, relax and we will keep you posted. Oh my! I think this is something to look forward to kaya lang sayang di natin makikita dito sa Pinas. @earth baket di naman makikita sa pinas. Movie po ito hahaha.